Hitty is a wonderful little doll from a book that was written years ago. There is a new book about Hitty out that is illustrated beautifully. As with all my favorite dolls, Hitty had an elaborate wardrobe. 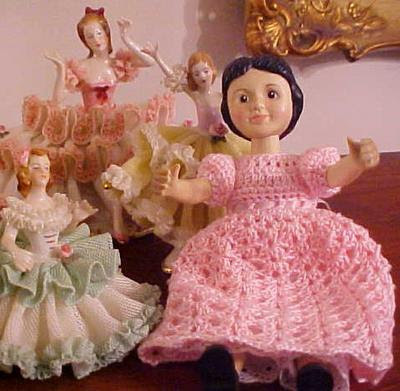 My Hitty has a wonderful wardrobe and I think that is the wonder of dolls such as these.